This instant drink is ideal for children, especially when teething, and adults who want to relax for a while, away from their daily cares. Calma-C performs a small miracle when hot water is added. The calcium and magnesium gluconates provided are transformed into their highly bio-available citrate, malate and ascorbate forms. Magnesium helps maintain normal muscle and nerve function; it helps support healthy heart rhythm, supports a healthy immune system and keeps bones strong. Magnesium also helps regulate blood sugar levels, promotes normal blood pressure, and is known to be involved in energy metabolism and protein synthesis. Magnesium gluconate, calcium gluconate, acidity regulator: citric acid monohydrate; ascorbic acid, acidity regulator: malic acid; ergocalciferol*. Take 1 well-rounded teaspoon (3.5g) up to 3 times a day, stirred into a cup of boiling water until it dissolves, or as your health professional advises. Add juice or herb tea if desired. Magnesium gluconate may be visible as small black specks - this is normal. 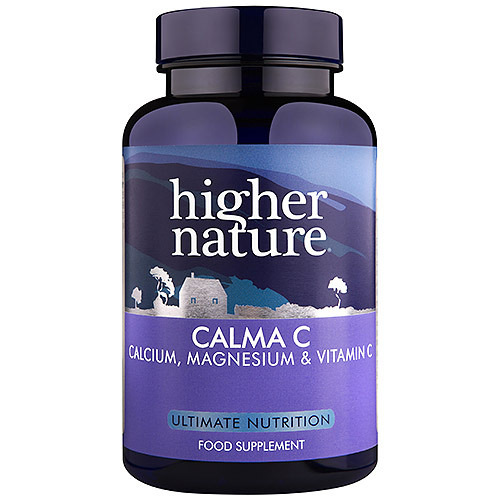 Below are reviews of Higher Nature Calma-C - Calcium & Magnesium Drink - 140g Powder by bodykind customers. If you have tried this product we'd love to hear what you think so please leave a review. 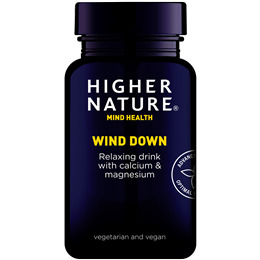 This calcium and magnesium drink is ideal for children and for adults who want to wind down. Add hot water, honey, fruit juice or herb tea.